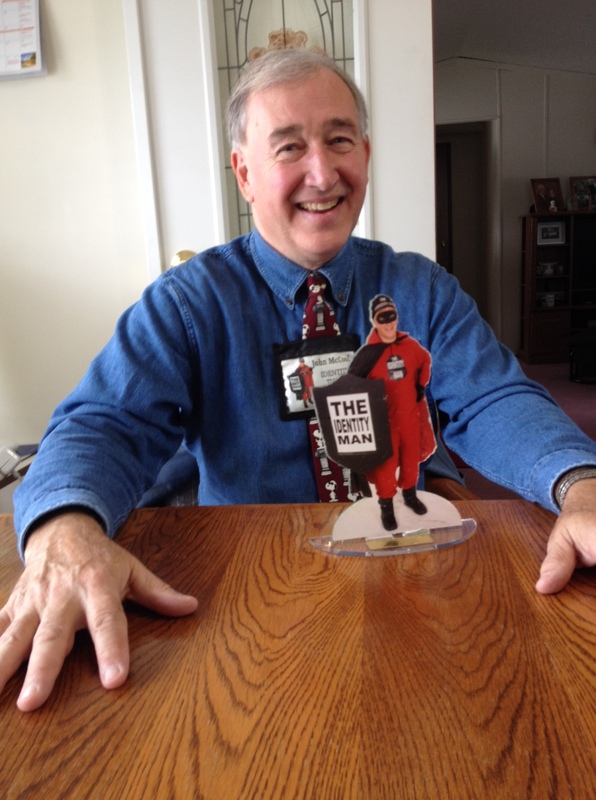 Many of you have seen “The Identity Man” walking around at many events. Well we finally unmasked him and found out he is actually John McCool. 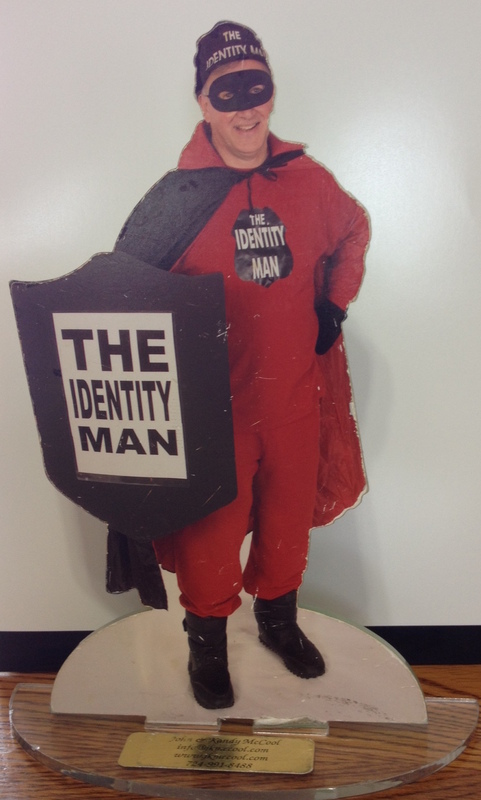 John tells us all about how Identity Theft affects you. What if the following occurs? • You receive a bill that is not yours. • Someone opens a new credit card account in your name. • Illegal immigrants use your social security number to get a job. • A bank turns you into a credit bureau unjustly. • Someone buys a new car in your name. • You go to the hospital and your blood type is changed. • Someone used your hospital plan. Identity Theft can be more than just financial. It can also be Criminal, Drivers License, Social Security or Medical Identity Theft. Where do you call for help? Who do you call? This entry was posted in Uncategorized and tagged Credit Bureau, Criminal, identity theft, John McCool, Legal Shield, Social Security Number, steal identity. Bookmark the permalink.